Mark Karris, ordained minister and therapist, is on to talk about his new book, Divine Echoes: Reconciling Prayer with the Uncontrolling Love of God. In this book about prayer, inspired by the open and relational work of Tom Oord, Mark looks at the role of trauma in his life and how that led to his work as a minister, therapist, and theologian; the specter of the failure of prayer; his experience of God as love amidst the trauma; the theological underpinnings for petitionary prayer. do petitionary prayers make a difference? Many theologians are embarrassed by the theological implications of intercessory prayer and try to dismiss it, but Mark spends time reflecting on the nature of the God-World relationship, the nature of divine love, and really wrestles with what petitionary prayer could look like in an open and relational context. 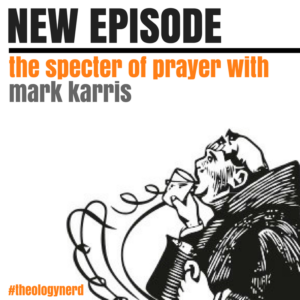 Tripp and Mark also talk about the struggle to find meaning, purpose, and value within suffering and how that can lead back to a classical theism, the necessity for communities to rethink ideas of God’s power, and Mark offers a solution to the problems of petitionary prayer. It’s Theology Beer Camp time again! This time it will be on the East Coast, in that mecca of craft beer in North Carolina – Asheville. 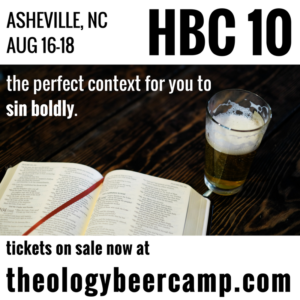 More specifically, Theology Beer Camp will be at Habitat Brewing Co. We’ve already announced that activist theologian Robyn Henderson-Espinoza and Travis McMaken will be joining us for resurrecting prophetic Christianity, but there are many more to come… there are only 99 spots so get your tickets now.